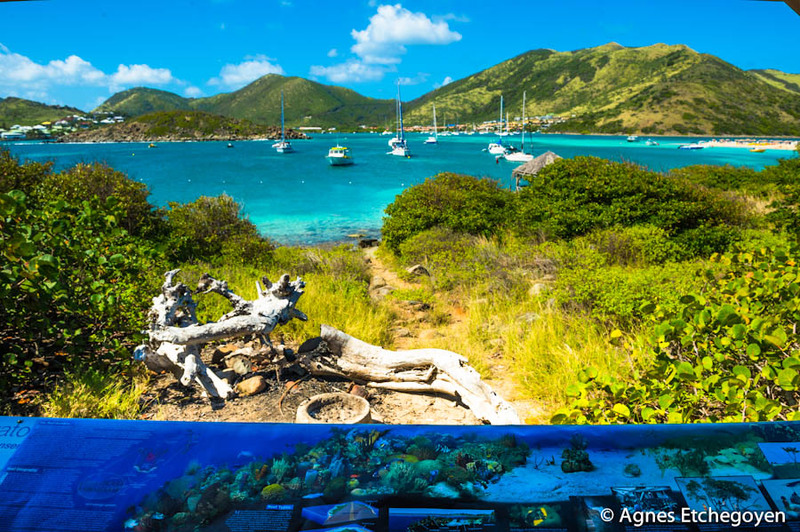 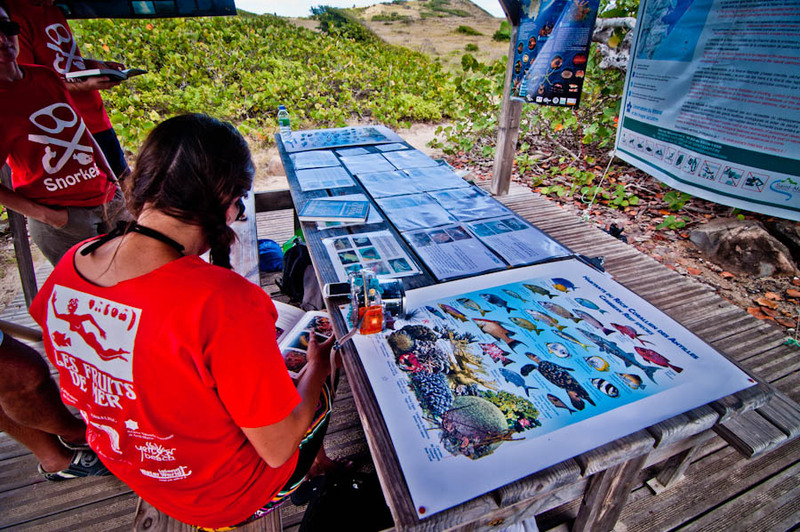 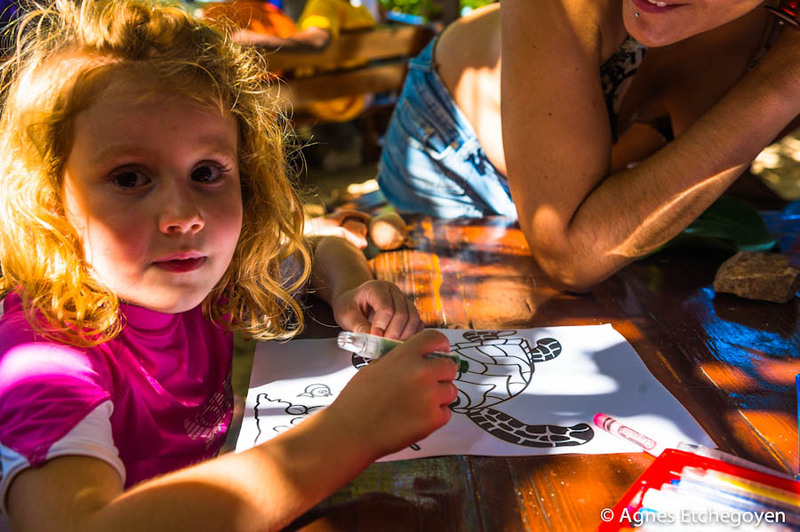 SnorkelFest is a free, public Wildlife Discovery Event created by Les Fruits de Mer, where St. Martin residents and visitors of all ages can experience the magic of undersea life and the sport, art, and science of snorkeling. 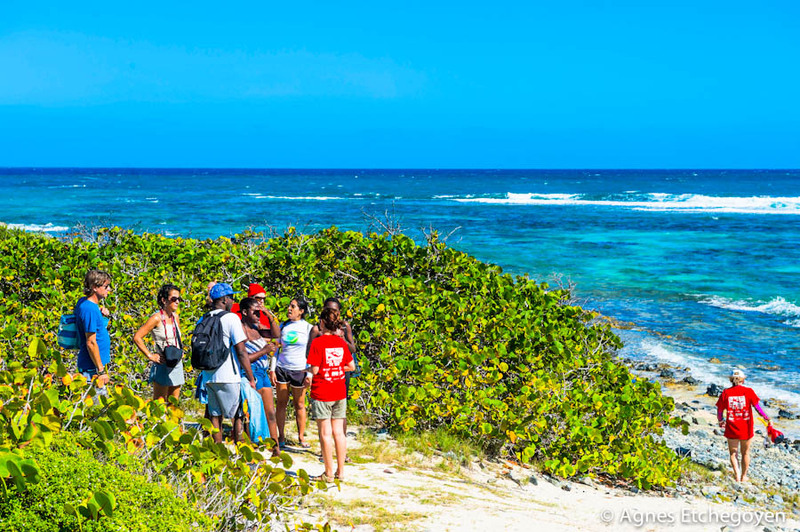 It’s a unique opportunity to learn about marine wildlife and the island’s important underwater ecosystems from experts. 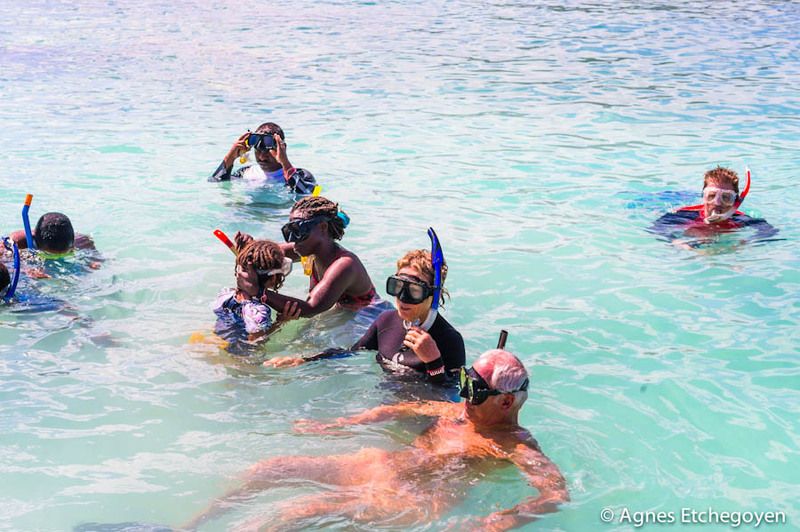 SnorkelFest also promotes snorkeling as a fun and healthy activity, as well as a way to explore and enjoy the fascinating underwater world of St. Martin. 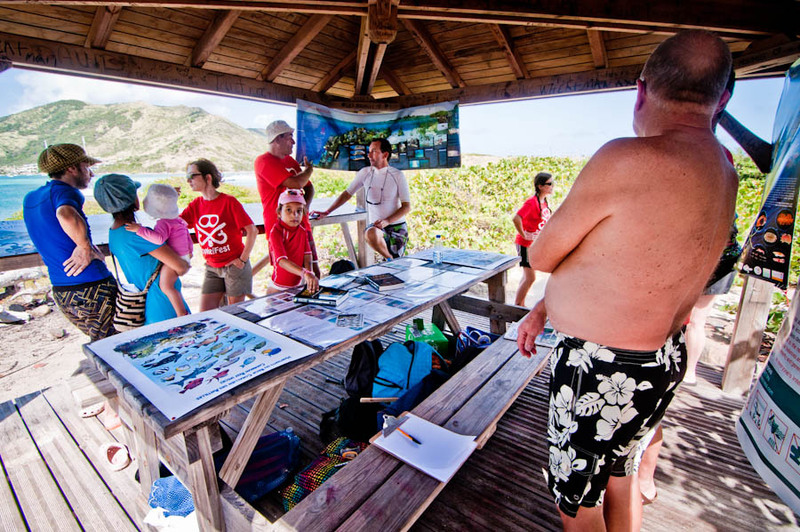 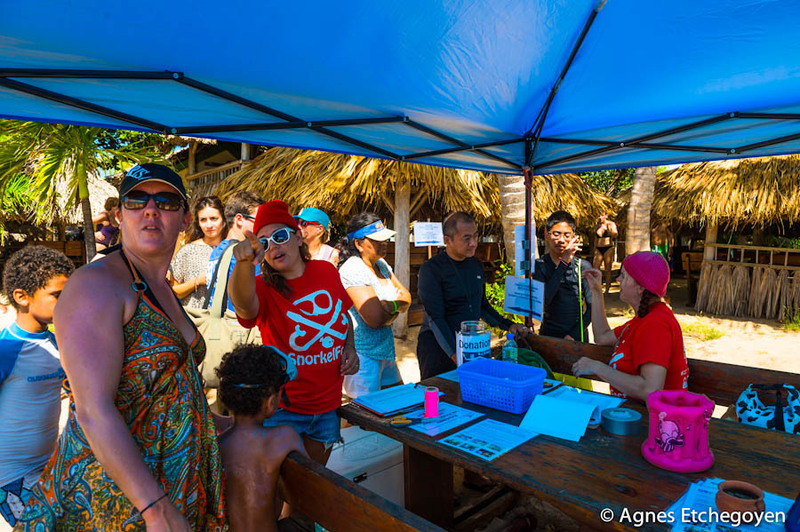 The event included snorkeling and snorkeling instruction with ECOSNORKELING, a Marine Life Discovery Station, a guided coastal walk on Pinel’s nature trails with beach clean-up, the chance to try out stand-up paddleboard with Caribbean Paddling, and sea-life-themed art activities for kids. 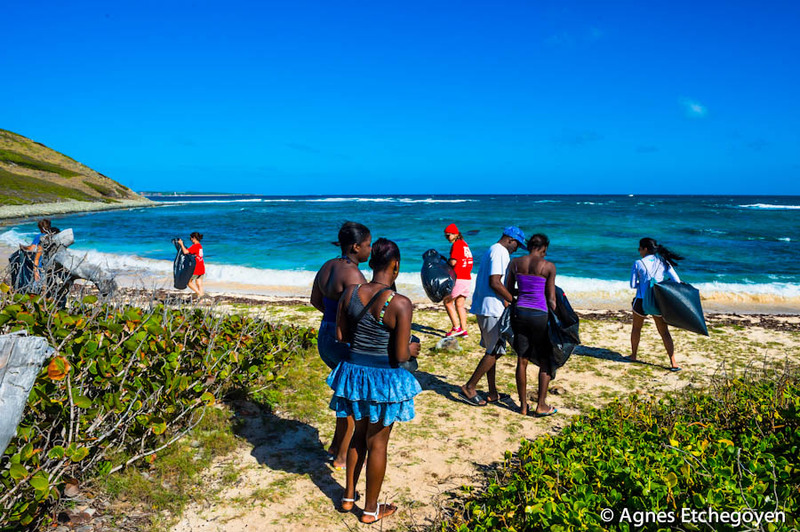 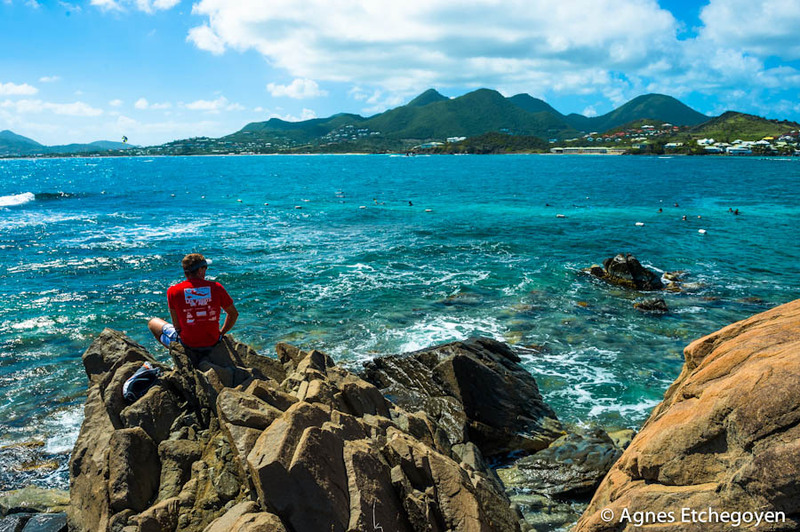 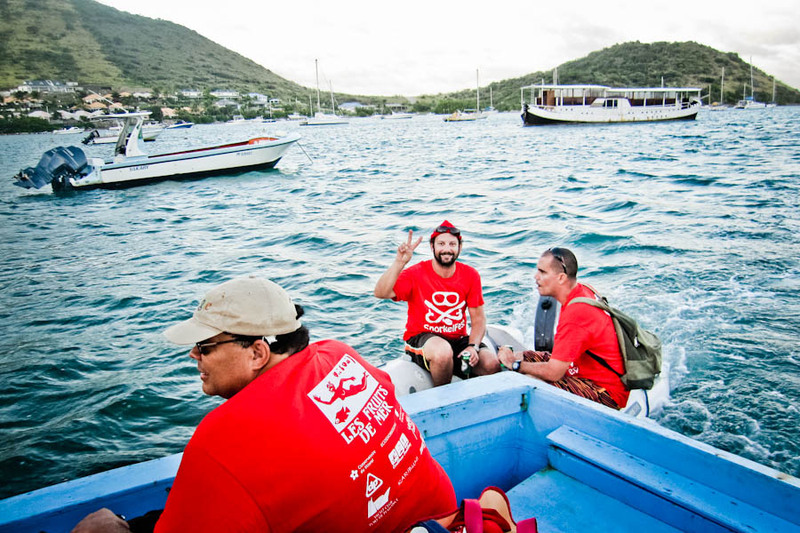 SnorkelFest 2014 took place on Saturday, January 25th from 11am to 3pm on Pinel Island. 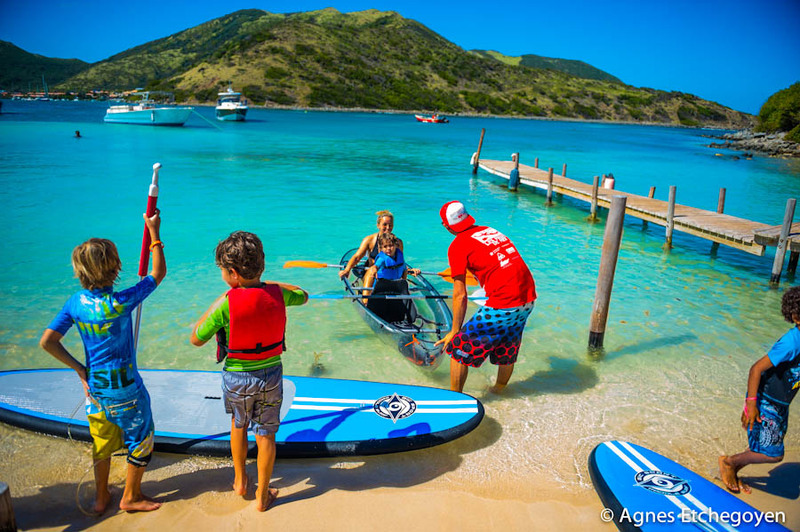 Guests who RSVP-ed on the Facebook events page at https://www.facebook.com/events/623840144329454/ or by email to info@lesfruitsdemer.org by Friday, January 24 received priority access for free snorkeling and paddleboard activities. 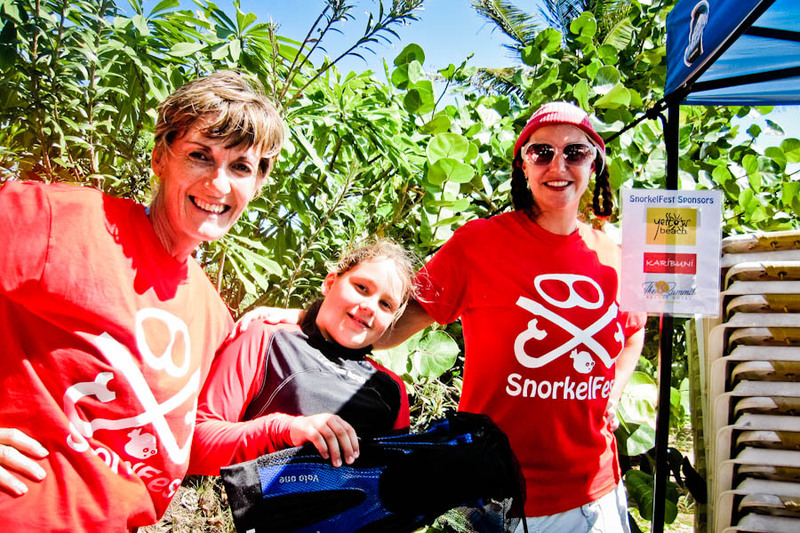 SnorkelFest 2014 was made possible by the hard work and talent of many volunteers, the support of our partners, the Réserve Naturelle de Saint-Martin, Conservatoire du Littoral, Ecosnorkeling and Caribbean Paddling; and the generous sponsorship of Island Water World, Yacht Club Port de Plaisance, Delta Petroleum, The Summit Resort Hotel, Karibuni, and Yellow Beach.